The Age of Ultron has come… to our line of Head Knockers! 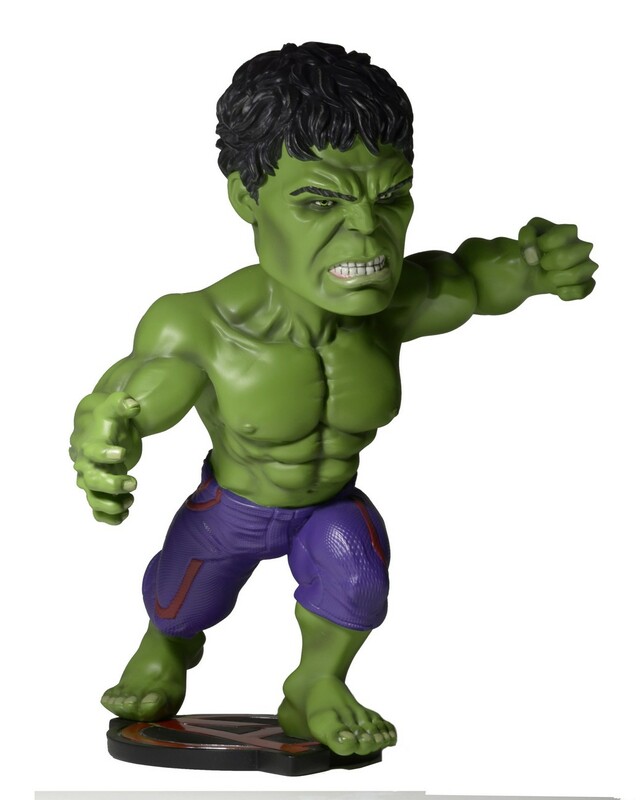 From Marvel’s Avengers: Age of Ultron, Hulk stands on an Avengers symbol base, ready to provide hours of head-bobbling entertainment. Figure stands 8.5” tall and is made of cold-cast resin that’s hand painted for amazing detail. A fantastic item for fans of any age!